Access to healthful, culturally appropriate food is an inherent right. Individuals and communities are empowered when they have the knowledge and skills to provide food. All people deserve recognition and respect for their unique value. Joy and fun are essential elements in any activity we host, promote, or undertake. Trust, honesty, open-mindedness and accountability are core elements in all we do. Quality of life is improved when we respect and honor our environment and when we promote the interconnection of all things. Growing Gardens is a 501(c)3 organization that helps people grow their own food. We organize hundreds of volunteers to build organic, raised bed vegetable gardens in backyards, front yards, side yards and even on balconies. We support low income households for three years with seeds, plants, classes, mentors and more. Our Youth Grow after school garden clubs grow the next generation of veggie eaters and growers! Through Learn & Grow workshops and work parties, we teach gardeners all about growing, preparing and preserving healthful food while respecting the health of the environment. We plant seeds for good food and healthy people by making sure low-income people have the resources they need to grow organic vegetables at home. 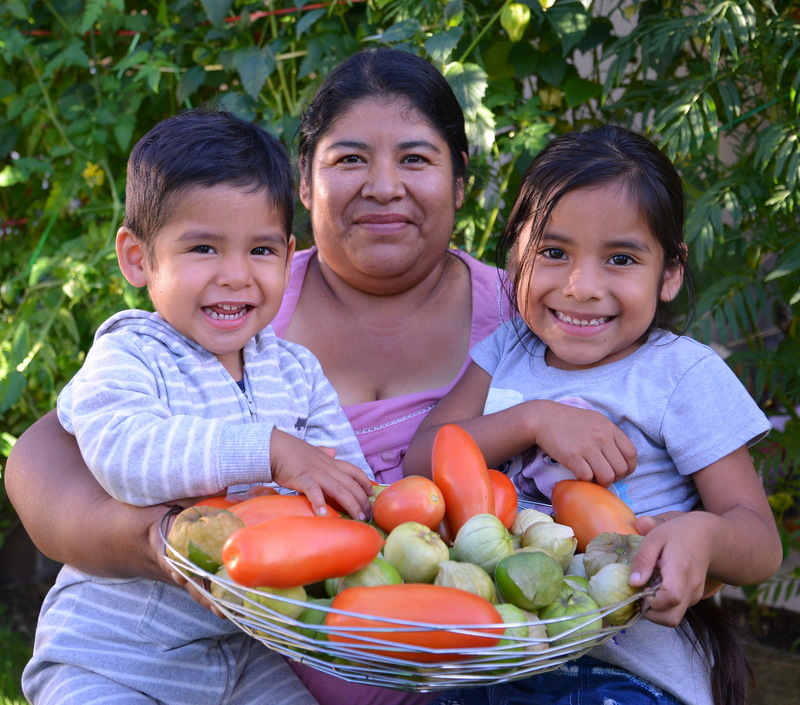 Through this work, community members meet over the backyard garden, through volunteering, by attending classes, and through sharing extra produce. “Researchers have found that where we live – and the conditions in which we are born, live, learn, work, play and age – determines our health.